There’s no dearth of lobster in our nephropidae-loving city. Eateries focusing on the crustacean seem to appear more often that a Rattata on Pokémon Go, leaving us wondering if there’s ever time to catch ’em all. Well, there isn’t. Because another just popped up in Causeway Bay. And this place is called Hungry Lobster. There’s a nautically themed interior here. Oars and fish hang from the ceiling and there’s a surfboard-shaped table. The menu is mostly made up of lobster dishes and a few steaks and pastas. 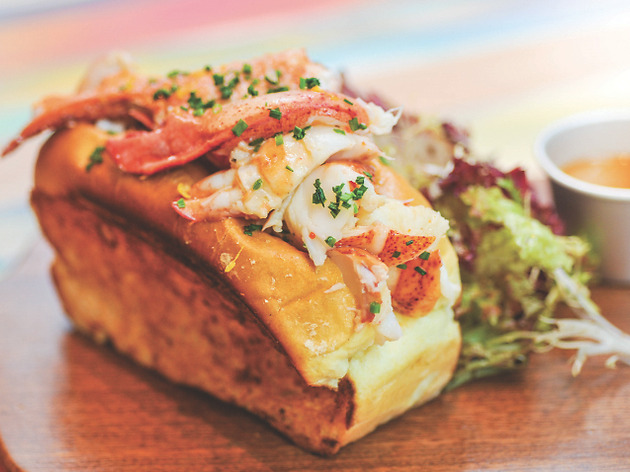 We choose the lobster roll and sirloin combo ($338), which comes with a lacklustre salad and some floppy fries. 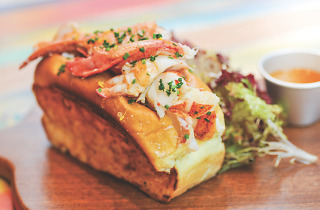 The bun is a buttery joy but the lobster portion is meagre and doesn’t taste fresh. And, to boot, about a third of the steak is inedible fat. Thankfully, the meat is tender and pairs well with a side of melted herb butter. We’re still hungry lobsters, though, so we order a lobster spaghetti ($138). There’s plenty of meat in this pasta and it’s fresher than the stuff in the roll. It’s good overall, with well-cooked spaghetti, but the tomato and lobster sauce, which drowns the pasta, needs seasoning. Basically, the portions are small and the quality of the lobster and steak doesn’t deserve the inflated prices at Hungry Lobster. This is one place you might not want to register on your Pokédex.